If you have toddlers, you're probably thinking about sending them off to preschool soon, or maybe you sent them this year. If you'd rather home school them, or at least get them ready for preschool there are always great ways to teach your kids at home. 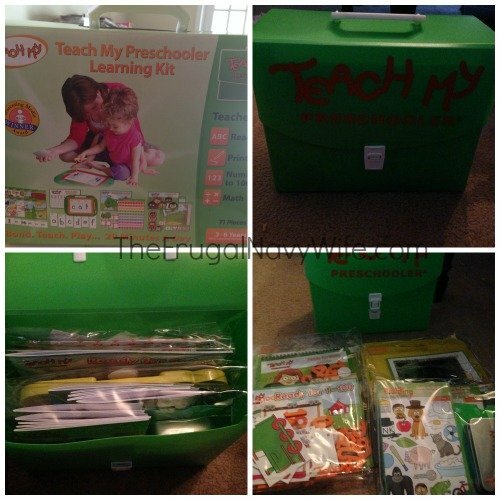 I was asked to review the Teach My Preschool Learning Kit by Teach My. 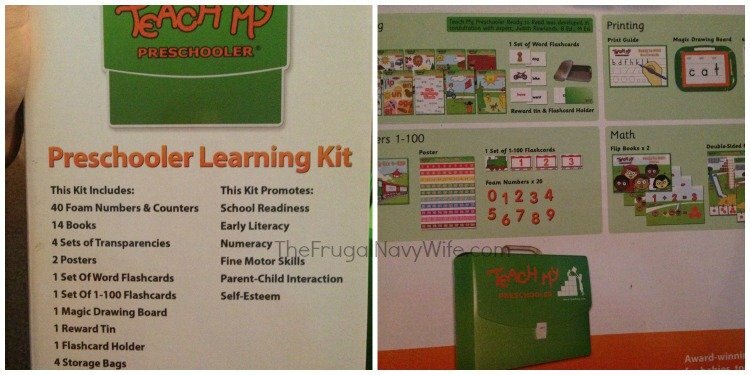 Teach My Preschooler is a multi award winning all in one kit for toddlers ages 3 and up. 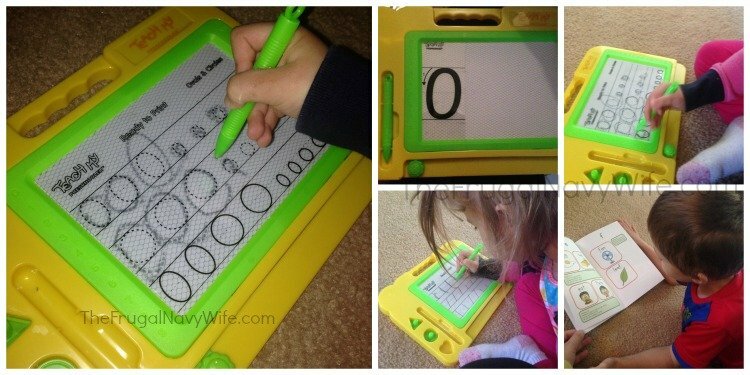 It's divided into four sections to teach your preschooler Reading, Printing, Numbers 1-100, Addition, and Subtraction. This kit does not require batteries, or DVD's you can find everything you need to teach your preschooler the basics. It's full of pre-k activities, and enables you to teach your child to read. 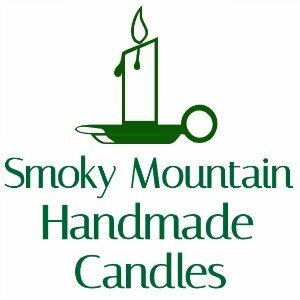 There are also many other kits for children of different ages, if your child is younger than preschool age, and you can buy each of the books separately, if you're looking to just work on one subject. This kit comes with coordinated books, flashcards, posters, a print guide, and magic drawing board, all in one case! This makes a great gift for your child for Christmas, or just because. It was developed with educational consultant, Judith Rowlands, M Ed. and is designed to give your preschooler a jump start, develop fine motor skills, encourage parent/child interaction, and increase your child's school readiness skills. As you can see below my kids love it! My 3 year old is learning to write. She love practicing she thinks it's a game! My son is using the reading books and learning songs and sight words! My daughter asks to do the number train (counting 1-100 with flash cards that make a train!). I love when my kid would rather learn then watch TV or run around the house!! 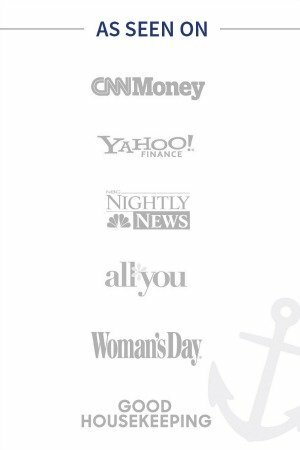 Check out the Teach My website for more great products from Teach My! Have you ever heard of Teach My, or used it for your children? What did you think of it? Let me know in the comments! I received the above item in order to conduct my review. All opinions remain my own. 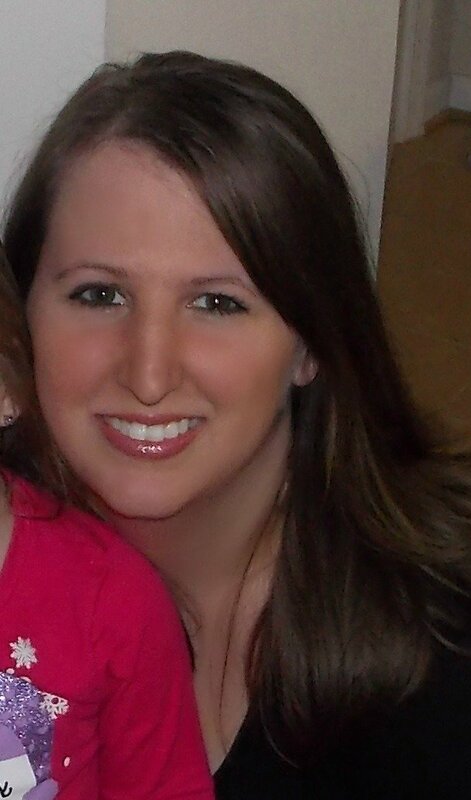 Tips for the BlogHer Conference Newbie! Saving Money on the Wedding Cake | How to Have the Wedding of Your Dreams for $1,500 or Less!